Futurism ponders, “Sugar, Light, And A New Type of Chemistry — What It May Take To Wean Us Off Fossil Fuels” in an article by Dan Robitzki. The topic brings a new term into your editor’s vocabulary – BioLEC – Bioinspired Light Escalated Chemistry. 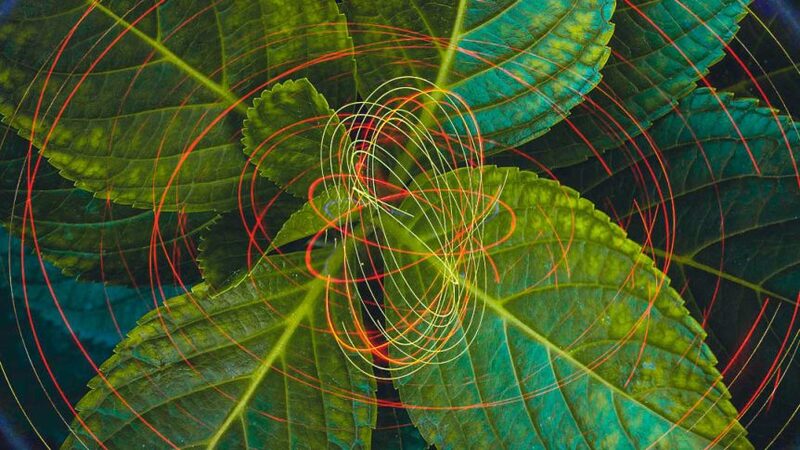 The goal of such chemistry is to use the energy of two photons, “the tiniest quantifiable units of light, to power chemical reactions.” This takes us into how trees and other photosynthesizing plants use quantum theory to make things grow. It’s a bit odd to think of trees and quantum physics in the same sentence. Your editor used to think of sunlight striking leaves and chemistry taking place in a leisurely way inside while the tree or bush grew. It turns out that things take place at light speed inside the tree, with quantum activity in abundance. Researchers have tried to outdo Mother Nature with artificial leaves. One of the early proponents of this approach, Daniel Nocera of Harvard claimed ,“This hybrid microbial | artificial leaf system, called the bionic leaf, operates at unprecedented solar-to-biomass (10.7%) and solar-to-liquid fuels (6.2%) yields, greatly exceeding the 1% yield of natural photosynthesis.” He and his partner, Pamela Silver, continue to expand that potential. Other researchers such as Nathan Lewis at CalTech, have their own programs with varying means of using enhanced photosynthesis. To further such research, the U.S. Department of Energy set aside $100 million this year to fund 22 new Energy Frontier Research Centers (EFRC) and renew several others. One of them, a new lab at Princeton University, is slated to receive almost $11 million over four years. Their team is attempting to power the world with plants and industrial waste. Gregory Scholes, a Princeton chemist and the Director of the BioLEC project, thinks that we can achieve that by using BioLEC to duplicate what happens inside a leaf in the laboratory – and then control the process to gain desired outcomes. Carbon-based substances such as sugar or alcohol, according to Futurism, “Contain a chain of carbon atoms connected to an oxygen atom and a hydrogen atom (OH).” Apparently the bonds linking carbon atoms are hard to break. adding an extra photon would weaken that bond. The article concludes, “It’s a daunting task. In such early stages, it’s impossible to know whether or not Scholes and his team can accomplish all their goals in just four years. But he is optimistic that they can do it. After all, the underlying science already exists. If a whole bunch of big, dumb plants can figure out how to absorb a second photon, why can’t we?